Tom is a Partner in our Private Client department. He is member of STEP and holds the STEP Advanced Certificate in advising vulnerable clients. 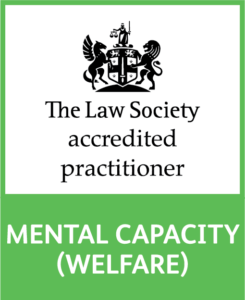 Tom is also a legal representative under the Law Society Mental Capacity Welfare scheme. Tom has worked at Barcan+Kirby since 2001, becoming a Partner in 2006. He heads up the team dealing with Court of Protection matters such as deputyship applications, deprivation of liberty applications, issues with attorneys and deputies misusing their powers and advance decisions. He is a member of the Court of Protection Practitioners Association and is able to act as a professional deputy. Tom qualified as a Notary Public in August 2018. Tom + Gemma were very helpful in what was an uncomfortable family situation. Their advice was always clear and helpful. Nothing was too much trouble.